Are the victims of bank crime to blame for not being educated? Michael West investigates where the money has gone from corporate law enforcement and discovers the banks have been getting tax deductions. Picture this: a gang of robbers breaks into your house and helps themselves to your possessions. The police catch the robbers. But instead of charging them with theft, or even “break-and-enter”, they offer them the opportunity to make a donation to charity and claim a tax deduction. The donation is to be a fraction of the amount the robbers have earned over the years from ransacking peoples’ houses and – as part of the enforcement action by authorities – the robbers can nominate their favourite charity for the donation. This donation is to be called a Community Benefit Payment. The two parties – the robbers and the police – then work together on the wording of a press release to announce the new policing measures. As the crime is the fault of the victims for not being sufficiently educated about how to fight a gang of robbers, the victims are invited attend a Home Invasion Literacy Course and learn karate so next time they are attacked they can put up a decent show. THE CORPORATE REGULATOR’S decade of deals with the banks began when chairman of the Australian Securities & Investment Commission Tony D’Aloisio struck “Enforceable Undertakings” with ANZ Banking Group in March 2009. ANZ had been a key player in the spectacular collapse of the financier Opes Prime. ASIC had been investigating ANZ since January 1, 2007. Instead of dragging the bank into court at great cost, D’Aloisio did a “no-blame” deal with ANZ bosses who agreed to “complete a program to remedy deficiencies in operational procedures”. In August 2007, ANZ appointed receivers to the wine company Evans & Tate Limited. In December 2007, the receivers sold Evans & Tate’s Oakridge Winery to a company jointly owned by Tony D’Aloisio and his wife. Suffice to say, ASIC’s 2009 Enforceable Undertakings (EUs) with ANZ had the unfortunate appearance of a mutual back-scratching exercise. And the back-scratching rose to new heights in the ensuing years as ASIC dealt with rising, systemic fraud by the bank, particularly in 2017 and 2018 as the Royal Commission was coming on. Rather than use its considerable powers to enforce the law, ASIC has chosen to pursue enforcement by words. Rather than prosecute or issue fines, the regulators arrange for the banks to: (1) recognise ASIC’s concerns without admitting wrongdoing; (2) accept a remediation process; and (3) make a “Community Benefit Payment”. These deals with the banks are struck in a way which allows ASIC to achieve a key performance indicator, that is, educating the masses about financial literacy. The Community Benefit Payments set out in the EUs are made to not-for-profit entities which deliver education services in financial literacy. The payments are often mistaken for penalties or fines. But they are actually charitable payments, and therefore tax deductible. Fines are not tax deductible; charitable donations are tax deductible. So it is that the banks are receiving tax benefits for their crimes and misdemeanours (an irony magnified by the frustrated efforts of the Coalition government to deliver the Big Four banks $17 billion in tax cuts earlier this year). In the last two years: ANZ made EU payments of $27.25 million for tax benefits of $8.175 million; CBA $21.75 million for tax benefits of $6.525 million; and NAB $24.5 million for tax benefits of $7.35 million. And it also appears the banks play a role in determining who receives their Community Benefit Payments. An investigation of the EUs by michaelwest.com.au has found, of the $88.1 million in Community Benefits Payments made by the banks over the past ten years ($82.5 million over the past two years), $68.5 million has gone to unspecified parties. Another $16.6 million has been paid to a company called Financial Literacy Australia Limited, $2 million was paid to the Smith Family, and $500,000 apiece to The Ethics Centre and a mysterious entity going by the name of A.C.N. 625 525 162 Limited. 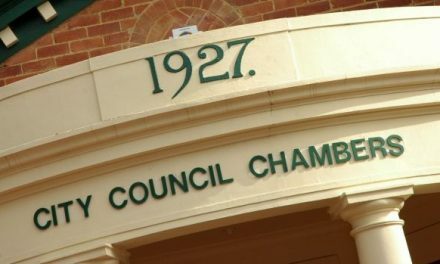 The latest financial statements for FLA (Financial Literacy Australia Limited), show it sitting on $12 million in cash. There is plenty of money in financial literary circles, though even critics of the “finlit” approach to law enforcement would agree the programs are very worthy, well intended and conducted in ventures with reputable charities. But where is the rest of the money? Still, a good deal of the money from the community benefit payments – even accounting for the FLA and Ecstra allocations – remains unaccounted for, at least in a public disclosure sense – some $28.5 million. Since Tony D’Aloisio’s ANZ deal in 2009, the regulator has struck another 27 EUs. All the major banks – ANZ, Westpac, National Australia Bank and the Commonwealth – have agreed to EUs; as have Macquarie Bank and a slew of foreign banks including JP Morgan, Goldman Sachs, HSBC and UBS. Despite the revelations of systemic fraud at the Banking Royal Commission this year, not one executive has gone to jail. Not one director has been banned, or even held legally accountable for the rip-off of hundreds of thousands of Australian bank customers. “The community benefit payments are great value for the banks” says retired UNSW accounting academic Jeffrey Knapp “I wish I could get a tax deduction when I break the law and get a speeding fine. “The EUs conflate regulation of the banks with the financial education of the public,” says Knapp. 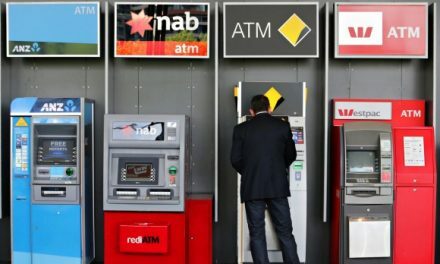 “It would be better if ASIC’s response to banking misconduct had focussed more on educating the banks to take their legal obligations seriously. The offences covered by the EUs ranged from the market-rigging scandal in bank Bill Swaps (BBSW) – a global scam which affected interest rates nationally – to fees-for-no-service rorts, selling dodgy financial products and providing dodgy financial advice to customers. The Big Four banks alone now record north of $30 billion in profits between them each year, after tax. And it is fair to say that the illicit profits they have made by fleecing their customers must run into the billions. Against this, 28 EUs which raised $88 million in Community Benefit Payments. Questions were put to ASIC and the Australian Bankers Association (ABA) for this story to find out about the $68.5 million in payments made to parties which had not been identified by ASIC or the banks. At the time of publication, neither ASIC or the ABA had responded. A request for interview with bank lobby chief Anna Bligh was ignored. The payments which are routed through Financial Literacy Australia Limited have gone to good causes. According to FLA’s financial statements, $17.9 million has come in the door in donations since 2014. It has directed $6 million over four years in grants. This is a company with no full-time employees, two part-time employees and – at last balance date of 31 December 2017 – $12 million in cash; yet a company which is being wound up, as revealed by Paul Clitheroe last night. It’s directors – Robert Brown, Paul Clitheroe, Craig Dunn, Linda Elkins, Fiona Guthrie, Elaine Henry, Anthony Mackay, Ian Silk, Michael Smith (retired) – are well connected. Smith was formerly CEO of the ANZ and Dunn a former CEO of AMP. Paul Clitheroe and his partners sold their IPAC financial advice business to Commonwealth Bank, bought it back and then sold it to AMP. Fiona Guthrie heads up Financial Counselling Australia. Air Commodore Robert Brown is chairman, Australian Defence Force Financial Services Consumer Council and Ian Silk the CEO of Australian Super, the biggest fund in the country. The company’s website shows FLA has directed its donations to worthy causes such as Brotherhood of Saint Lawrence and Good Shepherd ANZ – “The Firmer Foundations program uses a small group and coaching model to build the financial capability of women who have experienced family violence, economic abuse and/or inter-generational poverty”. The focus is on education, educating consumers in financial literacy; and this has been the regulatory focus of ASIC for the past ten years. While tens of millions of dollars have been sunk into financial literacy however, the systemic financial fraud has continued unabated. Educating the perpetrators rather than the customers would be a better strategy, says Jeff Knapp. This focus on education entails the presupposition that the victims of financial crime are themselves to blame for not being educated enough. Further, that if they are educated, they may not be ripped off by their financial institution. None of the money donated via the EUs, at least none which could be identified for this investigation, addressed the perpetrators of financial fraud, only the victims and potential victims. ANZ, which has struck no less than five EUs with ASIC – for dodgy financial advice, fees for no service, forex market rigging, interest rate market rigging and Opes Prime – even picked up awards from Financial Literacy Australia in 2014, 2015 and 2017 for its MoneyMinded Online program and Money Business adult financial education program. Another destination for EU funds was set up this year, only referred to as A.C.N. 625 525 162 Limited. According to ASIC records, “Ecstra Foundation Limited”, an entity whose directors (in common with FLA) are Robert Brown, Paul Clitheroe and Elaine Henry, has the purpose of “advancing education, advancing social or public welfare”. Ecstra has received $500,000, according to ASIC records. Paul Clitheroe has confirmed the subsequent payments of $40 million. Who has been guiding the Government and ASIC in their quest for better financial literacy? This is the role of the Australain Financial Literacy Board, a non-statutory body which “provides independent and strategic guidance to Government and ASIC on financial literacy issues capability”. The Board meets quarterly to discuss financial literacy initiatives as they relate to business, education and the community sector. Again, the same names bob up. Government appointed members of the Australian Financial Literacy Board are Paul Clitheroe, Robert Brown, Fiona Guthrie and Elaine Henry. Although ASIC declined to respond, Paul Clitheroe explained that Financial Literacy Australia Limited is being wound up and replaced by Ectsra. He pointed to a May 28, 2018, media release of then Minister for Revenue and Financial Services, Kelly O’Dwyer, which indicates the Turnbull government established Ecstra and arranged for ASIC to direct it $40 million of EU monies. Other members of the Literacy Board include ASIC deputy commissioner Peter Kell and newish chairman James Shipton. Shipton is a former executive of Goldman Sachs, which agreed to an EU with ASIC in July this year for controversial share market transactions involving private hospital group, Healthscope. 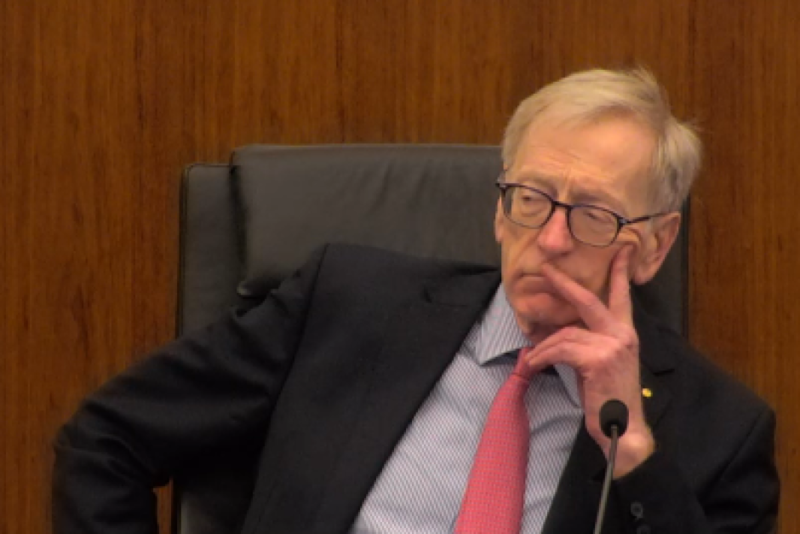 Throughout the Hayne Royal Commission, the corporate regulator has come under constant criticism for being too close to the banks, for failing to regulate effectively. When James Shipton gave evidence last week, he agreed with Counsel Rowena Orr that more could be done to arrest the eye-watering incidence of banking fraud. “It’s part of human nature, isn’t it, Mr Shipton, that when we have a relationship with someone, it’s usually harder for us to do something that might harm that person’s interests?” asked senior counsel assisting Rowena Orr QC. “That’s why I am emphasising the importance of having a professional relationship and, as I emphasised earlier, exercising the highest degree of professional judgment in relation to these interactions,” Mr Shipton responded. “We’ve started with naming more names than we’ve named before in relation to the relative performance,” Mr Shipton said. “I want to be very clear, Mr Shipton — I put to you, you are not naming enough names,” Ms Orr said. “Well, I think you made a good point, Ms Orr,” Mr Shipton replied. There is a significant “upside” to government – at least in a short-term cost savings sense – in favouring education of banking consumers over prosecution of banking perpetrators. It saves a lot of money. ASIC collected $1.2 billion for the government last year – sharply up from $998 million the year before. In return, the government awarded ASIC with $348 million for its budget. The agency is a huge cash cow for the Commonwealth government. Spending money prosecuting banks would put these rivers of gold at risk. As the EU deals with the banks has ramped up over the past 10 years, so did have performance bonuses for ASIC executives. The ramp-up of the EUs in the lead up to the Hayne Royal Commission and the favourable outcome for the banks suggests that the banks are pulling the Government’s strings and, in turn, the Government is pulling ASIC’s strings as to enforcement, interference which does not sit well with the public obligations of a regulator which is supposedly independent by statute. in deal-making and public relations triumphs arising from financial literacy initiatives.